Indian classical music is the oldest, most sophisticated and scientifically complete musical system in the world. Its two major streams—the south Indian (Carnatic) and the north Indian (Hindustani)—share common origins and were part of a single tradition until the thirteenth century. 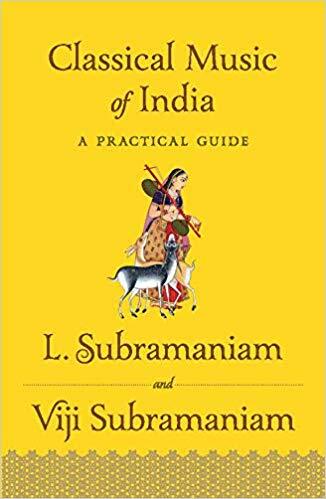 L. Subramaniam, one of the best-known classical musicians of our age, and the late and highly celebrated vocalist Viji Subramaniam examine the origins, history, structure and spirit of this system. Classical Music of India discusses in depth the melodic and rhythmic aspects of both Carnatic and Hindustani, briefly comparing these concepts with the classical music of Europe. There is a lucid comparison of the two Indian forms, an examination of instruments integral to them and a re-examination of fundamental concepts. An expanded, revised and updated reissue of the classic Euphony, this work is a definitive appraisal of Indian classical music. It is an essential addition to the library of any serious music lover, whether steeped in the music of India or new to it.